New Woman gets you an expert-backed guide on show-stopping trends to ensure that your look is the one everyone remembers. If there’s a time in the year to pull out all the stops, it’s the festive season. 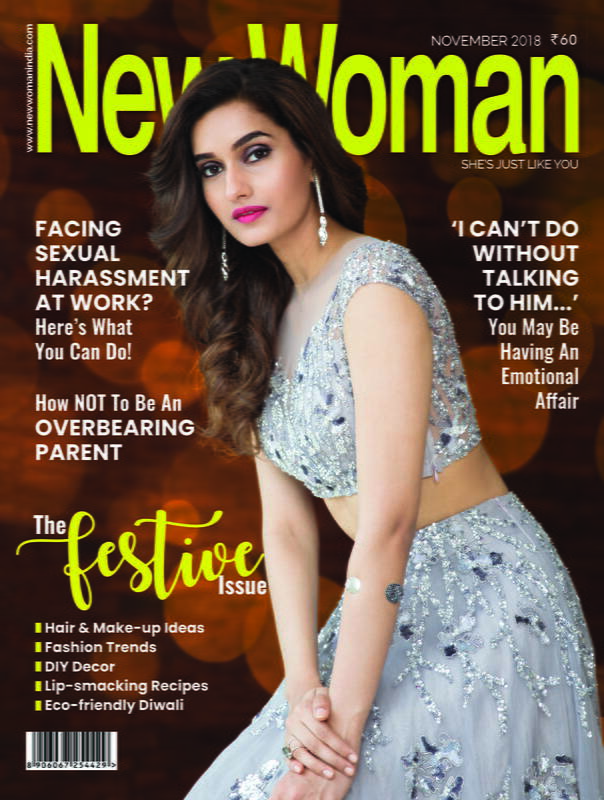 Whether it’s the dressy Alexander McQueen gown, embellished Rohit Bal anarkali or a muted Sabyasachi saree, be sure to go all-out and plug into the latest with killer festive make-up. A dewy, luminous face is the biggest trend this festive season. “Glowing skin is back and blush is making a comeback. A very dewy and angelic look that is both young and fresh is the rage right now,” says celebrity make-up artist Ojas Rajani. This means it’s about time you got your foundation right for that natural, illuminated complexion. Foundation will play a major role as the cakey and unnatural look blocks the way to a smooth and glowing skin. The trick according to ace make-up artist Elton Fernandez is to mix the foundation with a facial oil and then blend it with a wet beauty blender sponge. Pat and roll using the sponge and take it all the way up to the hairline. This gives a seamless look with no lines. “You could also use a small portion of vitamin C serum on the apple of the cheeks and the tip of the nose. It helps the foundation blend beautifully and makes the skin look glowy and dewy. It also corrects pigmentation,” reveals Ojas. Dress up your eyes in soft metallic hues. Subtly worn during the day or full-on for the evening, twinkling, shimmering eyes will rock the party look, according to make-up experts. Colours will play a big role in eye make-up. Choose from gold, pearly pink, purple amethyst, sapphire blue, or emerald green shadows, mascaras, or liners to create a look that will get you noticed. The winged liner will definitely add more dramatic. A thin stroke of glitter liner over the eyes will highlight your eyes beautifully. “Use a glitter eyeliner to glam up any look. Different colours of glitter can be used but it is imperative they complement the outfit. To apply to the lower lash line, opt for waterproof and pigmented glitter eyeliner. To apply to the upper lash line, use a gel liner as a base and apply the glitter eyeliner above it before it dries. This will give your eye a defined look,” explains Sushma Khan, National Creative Director, Make-up, Lakmé Salon. Brooke Shields was right all along. Thick, luscious brows can make you appear well put-together with minimal effort. “Thick bushy brows have been topping the trends for the last few seasons and are here to stay. The secret to its popularity being the fact that well-groomed thick brows make you look much younger,” says Aakriti Kochar, Beauty and Makeup Expert, Oriflame India. For those who have spent decades plucking, don’t despair. You can simply fake it with the help of a good brow pencil and a steady hand. “The best way to create natural-looking brows is to use a brow kit and make thin strokes that mimic natural hairs. Use a small, thin, angled brush, a tiny artist brush, or even a slim brow pencil to create small strokes in the direction your brow hairs grow. Set with a texturising brow gel to create a fuller, more natural effect,” says make-up guru, Clint Fernandes. Let your lips do all the talking this season. Yes, the bold lip is a perennial beauty trend, especially during the festive season. Red lipstick is classic but few can resist a deep plum or berry shade to team up with gorgeous sarees or anarkalis. So, make sure, you find the right shade of bold that suits your skin tone and stock up for the festivities! Follow Clint’s mantra for pouty lips: Moisturise the lip and then matte it out. Outline the lip using a lip pencil in the same colour as the lipstick. Then start painting the lips with the lip colour in matte, creamy texture, not a glossy one. If you want the lip colour to stay longer, then cover the entire lip with a lip pencil first. Then start applying the lip colour from the centre of the lip going outwards. Stop before the edge of the lip or else the lipstick will bleed. Five years ago, the word ‘contouring’ was barely part of the beauty vernacular, but today, it’s one of the biggest beauty trends. It’s a make-up artist’s secret to achieving hollowed-out cheeks and slimmed-down noses. Contouring was a big last year and it continues to rule this festive season. You don’t have to be born with killer cheekbones like Malaika Arora Khan when you can just fake it with this sculpting tip from Elton. “Most people use the wrong shade of bronzer—like a reddish, orangeish bronzer with shimmer. Instead, use a bronzer that’s matte in shades of apricot and peach. The trick is to buff it into your blusher.” Ojas has another suggestion: Mix two foundations. Use a lighter foundation on the tip of the nose, under eye, chin and centre of the forehead and a darker foundation on the jawline and cheeks. Then, sculpt the cheekbones by creat ing an angle from the inner corner of the mouth to the hairline above your ear. This gives you a shadow of a cheekbone. Top it up with a luminous silk foundation. Always use a cream-based contouring stick. Classic buns never go out of style and are perfect for weddings and festivities. “This look can be elegantly accessorised and when finished, looks neat, pretty and polished,” says celebrity hairstylist Asgar Saboo. Brush your hair back from your hairline and secure at the nape of the neck with a hairband. Begin to wrap your hair around the ponytail, twisting it as you go to ensure the layers remain hidden. 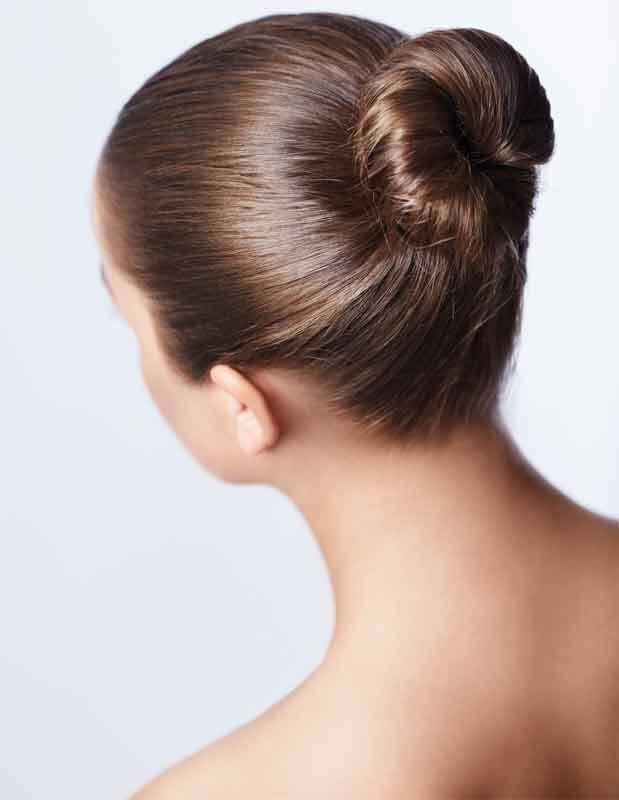 Then secure the bun with bobby pins that are the same colour as your hair for a clean finish. Finally, wrap a flower garland around the bun to add some beautiful detail, choosing a contrasting colour to make a bold statement. Tip: To add extra volume, separate the front sections of your hair before tying so they can later be styled into a quiff or side fringe, says Asgar.